Did you know that a carrot can be used for so many things? A vegetable (sure everyone knows that). A great addition to stew. A deadly weapon. But, a prop? Why not! It certainly added a little something extra to Bugs Bunny's character. Carrots became the thing most children ran from in the late 60s because of a talking carrot character on Lost in Space. Just be thankful you aren't obsessive like Howard Hughes, who always measured every carrot he ate! We, personally use carrots for carrot cake! What better way to eat your vegetables than to put them in batter with pecans, pineapple, and sugar. Then slather the whole monstrosity with decadent cream cheese frosting? But, we understand if you are more of a hearty, wholesome, stew kind of person. 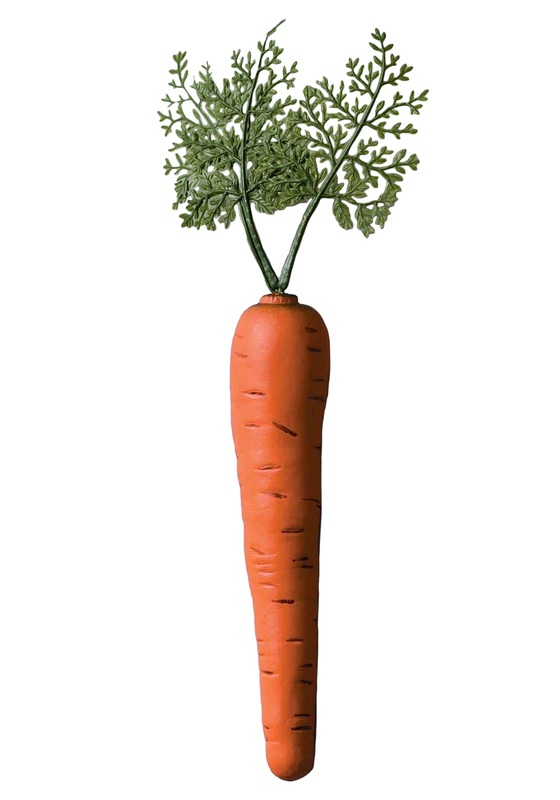 We, do suggest though, not to eat THIS carrot, as it may not be organic (or even real). This was okay for the price I paid for it. I'm so sorry you weren't happy with the way this product looks, we will be reaching out to you via email! Thank you for the feedback.